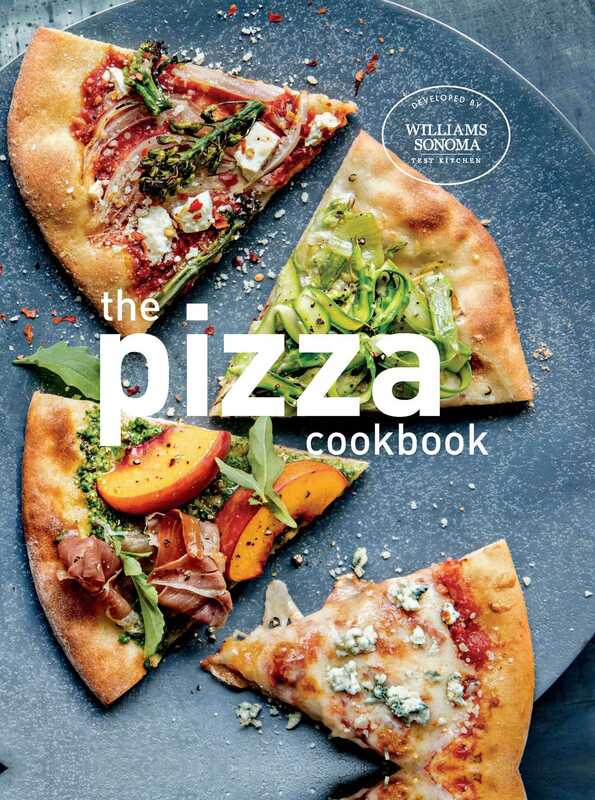 Homemade pizza is expertly achievable with the easy-to-follow directions and delicious recipes from the Williams Sonoma Test Kitchen chefs. More than 20 inspired pizza recipes—plus five options for dough and four types of sauces—provide everything you need to make pizzas like a pro. Simple instructions and no-fuss baking techniques ensure delicious success, whether you’re baking in a standard oven, an outdoor grill, a large backyard pizza oven, or a small countertop oven. Sample recipes include: Pizza with Shaved Asparagus, Melted Leeks & Burrata; Quattro Stagioni Pizza; Potato, Bacon & Rosemary Pizza; Sei Formaggi Pizza; Peso Pizza with Summer Squash, Sweet Corn & Pecorino; Fig & Prosciutto Pizza with Caramelized Onions & Gorgonzola; Sausage Pizza with Fennel & Ricotta; Wild Mushroom Pizza with Thyme & Fontina; Peach, Prosciutto & Arugula Pizza.